Vector drawing a girl’s face with a large grin, portraying the expression of a person who is trolling. Cool vector for your prank, craziness and fun designs. 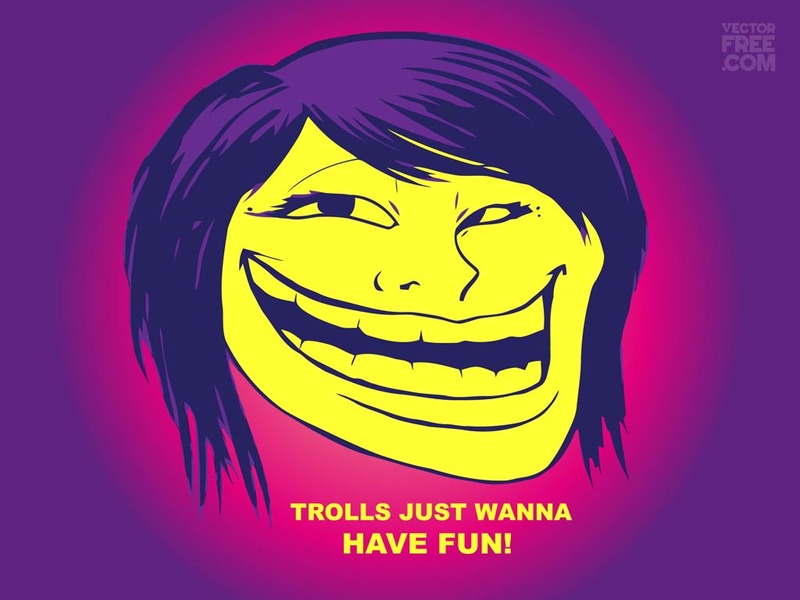 Download troll girl vector to create 4chan, coolface, rage face or meme graphics. Trolling is making other persons rage on forums and blogs. Tags: Crazy, Fun, Grin, Pranks, Smiling, Trollface, Trolling, Viral.